Home » Lifestyle News » Did you know sexual harassment is widespread in primate societies? 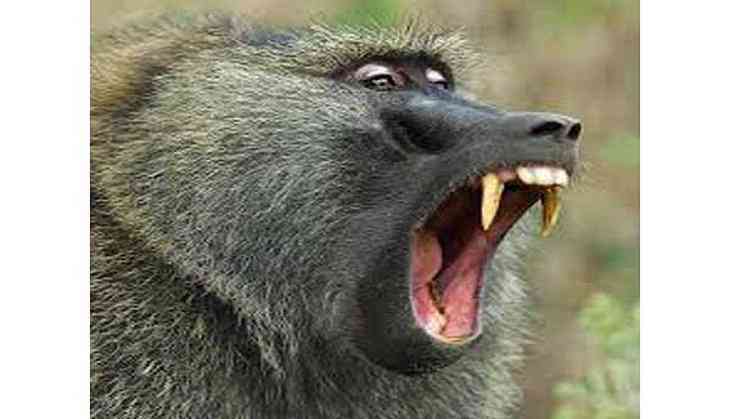 A team of researchers has found that males of baboon, including humans, often use long-term sexual harassment to control their mates. The findings suggested that this mating strategy has a long history in primates, including humans, and may be widespread across social mammals--especially when males of a species are typically larger than females. "This study adds to growing evidence that males use coercive tactics - act of convincing someone through threats, force or without regard- to constrain female mating decisions in promiscuous primates, thereby questioning the extent of sexual freedom left for females in such societies," said Alice Baniel from the Institute for Advanced Study in Toulouse, France. "The study suggests that sexual intimidation has a long evolutionary history in primates--a taxonomic group that of course includes humans," Baniel added. "When I was in the field and observing the baboons, I often noticed that males were directing unprovoked attacks or chases toward females in oestrus," Baniel stated. The results revealed that fertile females suffered more aggression from males than pregnant and lactating females did. In fact, male aggression was a major source of injury for fertile females. Males who were more aggressive toward a certain female also had a better chance to mate with her when she was close to ovulation. The new study shows that the strategy occurs in other primate societies, strengthening the case for an evolutionary origin of human sexual intimidation. The research was published in the journal of Current Biology.